Autumn marked the second edition of OFF Biennale in Budapest, Hungary. This grassroots curatorial initiative has positioned itself as a critical counterpoint to the divisive nature of current Hungarian cultural politics. 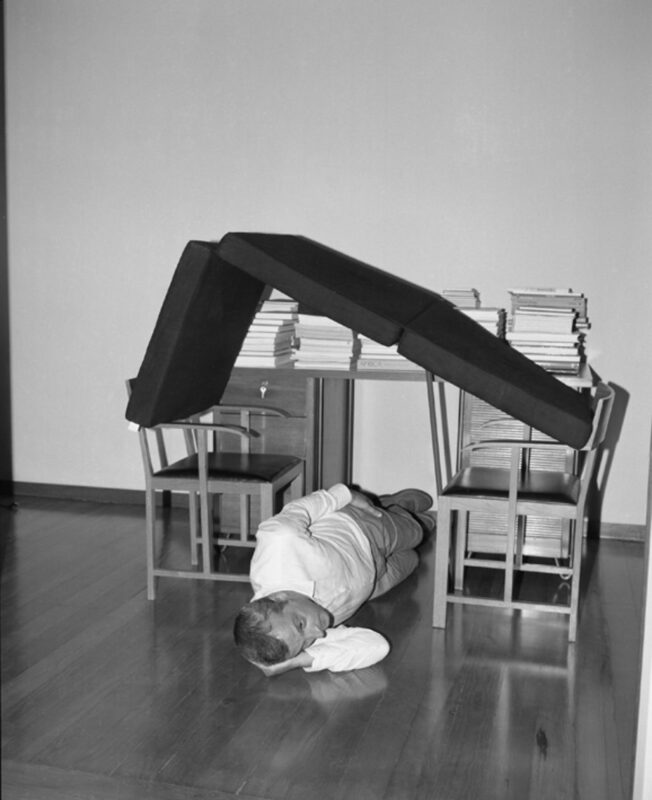 OFF’s goal—to realise the biennale independently, without support from public funding and state-run institutions—is not just a criticism of these sources, but a testing ground for alternative, sustainable, collective existence; in the organisers’ words, it is ‘not another protest, but an effort aimed at producing concrete results.’ As democratic, autonomous activity faces greater structural challenges, finding alternatives becomes a matter of necessity. The key words of the curatorial team have been self-organisation, expertise, internationality and visibility. Their commissioned projects make up the core of the programme, but it also includes works selected from an open call. The last call, in 2015, was for artworks reacting to Hungary’s restrictive cultural politics. Political action was again the focus this year, although more tightly curated around the story of ‘Gaudiopolis’, a children’s republic. Somewhere in Europe – Gaudiopolis, curated by Katalin Székely, presented the historical moment that made possible the formation of the orphanage also known as the City of Joy (1944-50). Lutheran Pastor Gábor Sztehlo assisted a group of orphaned children as they organised the terms of their co-habitation. They came up with a democratic decision-making system, selecting their own curriculum and workshops (including furniture making) and published their own newspaper. The show also reflects on the years following the second world war, when Hungarian society was rethinking itself along the lines of humanist values (acceptance, tolerance and responsibility for others) before it fell behind the Iron Curtain and the imposition of Communism. Though it is easy to get lost in historical minutiae, contemporary artworks such as the video ‘Unfinished Portrait of Youth Today’ (2017) by Dávid Mikulán and Fay Group added impact to the exhibition’s concerns. It depicted a group of children inhabiting the streets, using playfulness and creativity to shape it to their own ideas of their environment. Taking this realised utopia as its starting point, OFF invests in an historical, hopeful narrative. The ease with which today’s right-wing can disarm such initiatives may give little hope for civil activism, but it is refreshing to see an example of creative autonomy used in a defiantly positive way. One lesson from Gaudiopolis is to see ‘play’ as a valuable asset. The exhibition People Players considers the notion of play as looking for alternative realities, while Pedagogical Partisan Action(s) is inspired by experiments in art education in the late sixties and early seventies. The former occupies a soon-to-be café and presents works by Zbyněk Baladrán, Johanna Billing, Marvin Gaye Chetwynd, Ex-Artists’ Collective (Kaszás Tamás, Loránt Anikó), Danièle Huillet and Jean-Marie Straub, Kokesch Ádám, Eva Koťátková and Joanna Piotrowska. Although the show does not quite offer a coherent statement, it’s an interesting mix of artists working in various media, on topics of experimentation, violence, and architecture, all connected to play. Joanna Piotrowska: Untitled from Frantic, 2016, silver gelatin hand print. Part of the exhibition 'People Players', Off Biennale 2017. 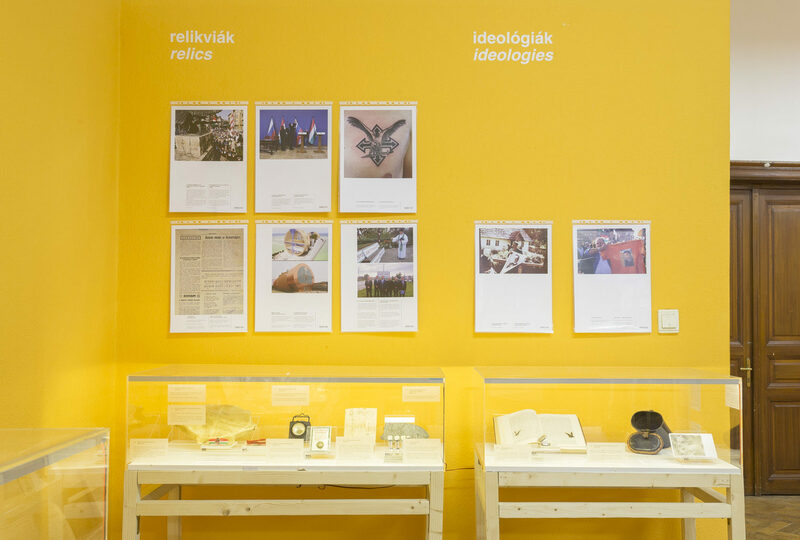 The exhibition Pedagogical Partisan Action(s) curated by Virág Lődi is a heavy researched and well-designed small display of contemporary works dealing with the question of art education. The late socialist pedagogical experiments on show took place in a different era to Gaudiopolis, but continue to the exploration of children-initiated environments and ways of life. The ‘creativity class’ of the Leiningen street school was part of a comprehensive experiment commissioned by the Education Committee of the Hungarian Academy of Sciences (1974-84). Music, movement and a playful attitude towards their surroundings were important elements of the children’s training, led by artist Péter Forgács. A documentary portrays the reactions from the rather conservative and sceptical faculty, as well as a film composed of footage and photographs from the workshops, made by Forgács. 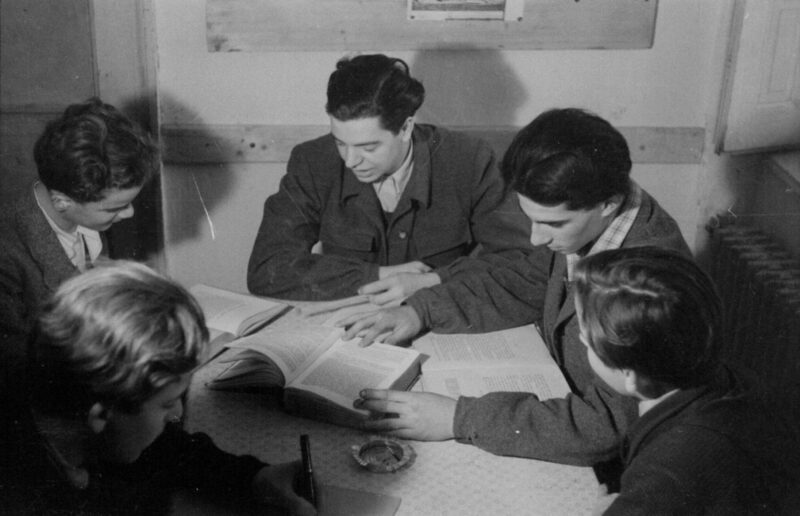 István Rév an István Sinkó speak in a video interview about their activities with the Városmajor street school’s after-school club (1978), which took place in the attic, and included roleplaying the Children’s Crusade as a starting point for conversations on anti-Semitism and segregation. I appreciated ‘Young (Art) Teachers’, filmed interviews with young professionals who shared how they look at their practice, as well as reflecting on the funniest, scariest, and most rewarding moments of their work. As the events of OFF’s educational program remained mostly hidden from a broader audience, it was a much-needed peek into art education in Hungary today. Teaching about the need to effect change, both societal and personal, is central to the program, with workshops responding to the main theme of the children’s republic. Other shows tackled Hungarian nationalism and aspects of its background, both historical and personal. 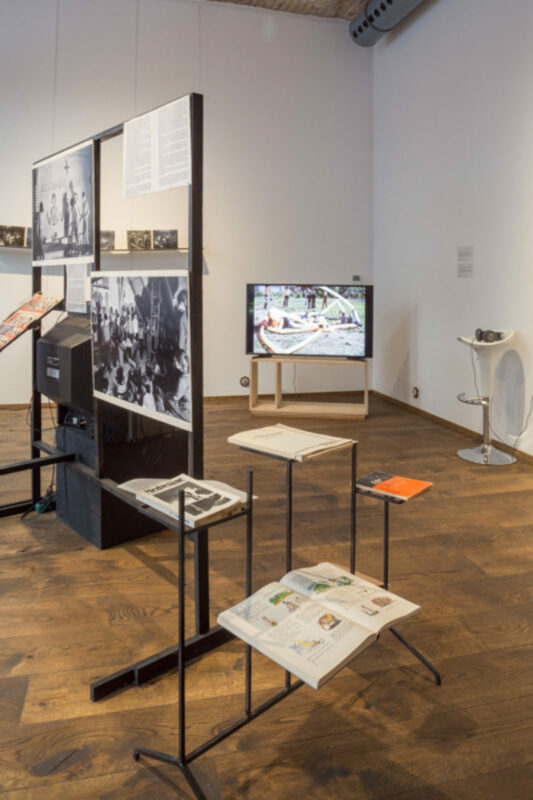 Szabolcs KissPál’s Hungarian Trilogy, hosted at the Institute of Political History, is full of dark humor, with a museum-like room of archival objects, replicas of national symbols and video works. As a bonus, you can enjoy the outstanding view of Parliament through the windows. National symbols such as the Turul bird and its myth support the work exploring the nation’s frustration with the Trianon Treaty (the 1920 peace agreement that redefined Hungarian borders, leaving 31% of its former population outside). An exhibition by Teleport Galéria includes submissions from the countries affected by this event. Lacking the direct experience of their parents and grandparents, the responses of the younger generation were more general—dealing with issues around minorities and land, using personal stories—rather than identifying with the political aspects of this historical trauma. Another project that explores the operations of power is the book Rebels by Kis Varsó / Little Warsaw, presented in the former Microfilm storage unit of the National Széchényi Library. History might be always written by the winners, but in the case of the 1989-90 student revolt at Budapest’s Academy of Fine Arts, there was no obvious winner to keep the story alive. 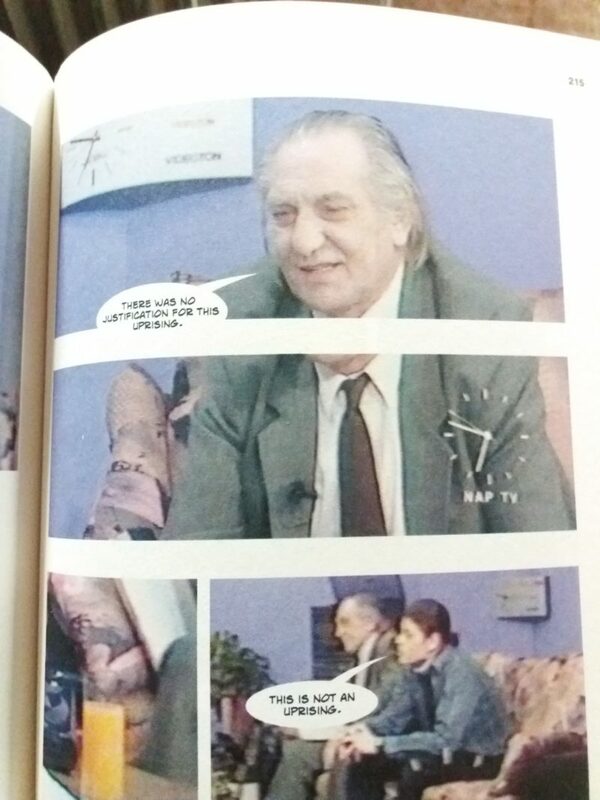 Rebels takes the form of a comic, collaging television reports, minute books and vhs video stills, and follows the happenings of a couple months in 1989-90, when students felt that the structure and the management of the institution, (similarly to the country’s own administration) was outdated. In the middle of major societal, political and economical changes, they wanted to stir things up and resettle along the lines of self-organisation. The book reproduces this tension through pages of bureaucracy articulating the students’ struggles and the seemingly insurmountable generation gap. Overall, there were good efforts to reach wider audiences, such as the exhibition City Theatre shared by four galleries in the same neighborhood, or guided tours organised collaboratively. If OFF’s aim is to mediate its message to the public, it has to continue to improve the communication, invigilation and coordination of its programme (I was sorry not be able to report on Flying Kayak (focusing on artistic interpretations of scientific and economic results), the Gladness Demo (inspired by Endre Tot) or see Manuel Pelmus’s work with schoolchildren). The next edition might look different, but it will continue to bolster the independent Hungarian contemporary art scene. The network is there, and growing, though the question of shared budgets and responsibilities yields no immediate answer. It is also growing across borders; thanks to a collaboration with the Galerie für Zeitgenössische Kunst in Leipzig (funded by the German Federal Cultural Fund) a selection of projects will soon be shown in Leipzig. Combined with a revived interest in the Hungarian neo-avant-garde, the art scene is gaining attention. Hungary doesn’t exactly make news with its achievements in contemporary art. But the wider issues facing the country are comparable to problems emerging all over Europe. Expanding its network across countries and delocalising the problems it faces is what gives projects like OFF international relevance.